Xolo Q3000 which was recently spotted online is now up for pre-order at Rs. 20,999 at online retailer Infibeam. The 5.7 inch Phablet from domestic manufacturer has the advantage of the extra display real estate as compared to the rival MT6589T smartphones with full HD display. The Xolo Q3000 has a 5.7 inch capacitive touch screen display, with full HD 1080p resolution which will give you a fine display without any visible pixilation. Those fond of watching Videos and reading on their smartphones will particularly enjoy the large screen display. The phone is powered by MT6589T SoC, which has a 1.5 GHz quad core processor along with PowerVR SGX544 MP GPU. 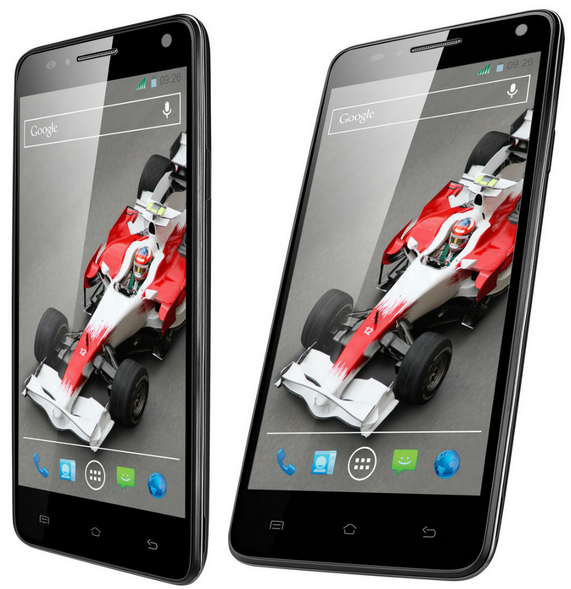 The chipset is backed by 2 GB of RAM and 16 GB internal Memory extendable to 32 GB. As per our past experience with this chipset, the frame rate obtained for gaming is poor. The chipset might not be suited for those involved in graphic intensive gaming. The chipset supports Full HD video playback. The primary camera has a 13 MP BSI 2 sensor which is the maximum MT6589T can support. The camera is capable of Full HD video recording and also enjoys LED flash support. The 5MP camera at the front also has a BSI sensor for better low light performance. The camera specs are similar to what we have seen in other phones with MT6589T like Micromax Canvas Turbo and Gionee Elife E6. The battery capacity is 4000 mAh which seems pretty good on paper. Other MT6589T full HD devices generally offer you a 2000 mAh battery for a 5 inch display. Xolo claims that this will give you 21 hours of talk time and 634 hours of standby time on 3G which is pretty amazing. Connectivity features include 3G, WiFi, Bluetooth 4.0 and GPS. The Phablet seems pretty good on paper and seems to overcome the battery limitation, which most other domestic branded MT6589T full HD devices suffer from. If you are among those fond of extra large displays, the phablet is definitely worth considering. You can pre-order the tablet from Infibeam at Rs. 20,999.